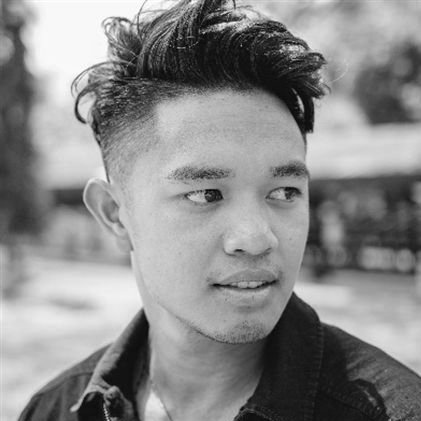 Mark Bustos, an exceptional stylist and humanit-HAIR-ian, combines his passion for men’s grooming with a desire to impact the world as the founder ofthe #BeAwesomeToSomebody movement where he dedicates his time to giving haircuts to the homeless. As a constant feature in The New York Times, GQ, and Vanity Fair, Mark makes up an integral part of The Fellowship Show team where he brings with him an undeniable finesse and expertise in Men’s Grooming and as an Educator. Matty Conrad is recognized as one of the top men’s grooming experts in North America. After 15 years as a top stylist, creative platform artist, and successful salon owner his passion for technical haircutting and a strong admiration for his grandfather drove him to shift career paths and enter the world of barbering. Borrowing from both traditional barbering and modern men's hair styling, his own style of heritage barbering is putting him at the vanguard of men's grooming in North America He has been recognized globally as a pioneer of “New Market Barbering” and is regularly called on as a grooming expert for a multitude of trade and mainstream magazines. Matty’s unbridled enthusiasm for sharing his wisdom, experience, and passion for our industry has made him a mainstay in front of classrooms and industry show stages around the globe. Kevin Luchmun is an award winning self taught barber and photographer based out of London. Kevin has combined modern and traditional aspects of barbering and hairdressing to form his own unique style. A style that has played a key role in setting the trends which fill catwalks, blogs and glossy fashion pages around the world. He has 15 years experience in barbering and hairdressing. Sofie "StayGold" Pok is barber stylist from Los Angeles. Raised in Orange County, Sofie currently lives and works in LA and is known for her cleanliness and attention to detail in short hairstyles. She's one of the International Educators for Babyliss Pro, educating stylists and barbers across the nation and sharing her techniques to build a strong foundation with clipper cutting. You can find her published in many magazines highlighting her career as a strong female barber. Her work has been widely noticed over her Instagram page (@staygold31) promoting education, techniques, high definition edits of hairstyles and videos. Over the past decade, her goal has remained the same: to fuse her knowledge of barbering and cosmetology and serve as a source of inspiration for others in the field. In her spare time, Sofie enjoys photography and videography and has found a way to mesh her love for barbering with the art of visual media. Sofie was named the 2017 Female Barber of the Year by Barbercon and 2017 Mens Shot of the Year at Behind the Chair. Rob the Original is a Barber from Los Angeles, California now living in San Antonio, Texas. Upon moving to San Antonio he aspired to be an artist never imagining himself a barber, but when he combined the two his passion was born. With his background in drawing, combined with his professional barber skills, Rob the Original has changed the way we look at haircuts. He has pioneered a new way of thinking about what a barber does. He’s not just a barer he’s also a Hair Artist. From simple fades to complex designs and portraits the boundaries of normal barbers do not apply to Rob. This allows for a haircut more original than any other, but his art doesn’t stop there. Rob sees art in everything around us, and is constantly pushing boundries to see how far his talents can take him. From salt, wood stain, and even things like dust on cars he continues to expand his portfolio daily. Julius “Julius Caesar” Arriola, Los Angeles transplant by way of the San Francisco Bay Area, has been relentless in his passion to deliver true barbering over the past 15 years. Published in numerous magazines including American Salon (US) Modern Salon (US) and Barber NV (UK) to name a few, he has established himself as one the Hair Industry’s leading forces. With endorsements from the likes of Wahl Clipper Corporation, GoPanache, Layrite Mens Grooming, & newly joined forces with Mizutani Japanese Scissors, Julius is backed and acknowledged by some of the best in the business. His passion to influence and inspire has led Julius to take on a strong education schedule, where travels included but not limited to nationwide cities like New York, Chicago, and Miami to international tours from Australia, Toronto, London, Paris, Barcelona, Prague, Tokyo, and Indonesia. One ideology he stays true to and for which he accredits a lot of his success to is always being a student to not only the hair profession, but also in Life.